Interests - James loves superheroes, especially Batman & Robin and Flash. He likes motorbikes and monster trucks. His favourite animals are hedgehogs, turtles and owls. James was diagnosed with Fanconi anaemia the same time as his sister in 2011. Fanconi anaemia is a life limiting blood disorder. This causes bone marrow failure and a higher chance of head and neck cancers. 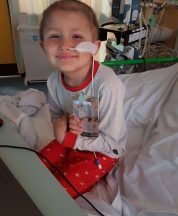 Fanconi anaemia has caused James’ bone marrow to fail and he has been transfusion dependent for the last six months. He has an admission date for a bone marrow transplant on 21st November. I think it is time for James to move on from Post Pals. There are so many children that need the smiles put back in their hearts. Thank you for all you and your team have done for my children during treatment and recovery. We will still support you anyway we can. Day +23 and 5 weeks after admission I need to share that we were told today that James has 100% engraftment (donor cells)…..Not only that, his counts are going up steady enough for us to go home next week! It feels too soon, too quick to be leaving the amazing nursing team and doctors here looking after James, but I guess its normal to worry. He has managed to get here with no signs of stress on his pelvic kidney or liver. One scary reaction to a medication dealt with promptly, and has not needed a transfusion this week. Just wow! He still has a long way to go. We will be coming home with a rather large variety of daily medication and a feeding pump to ensure he gets the nutrition and hydration he needs. He is still in isolation at home for a few more months yet. We have weekly visits to GOSH to keep a close eye on him. So proud of his courage and ability to stay cheerful and make us all smile. We had a lovely quiet Christmas. The children were amazed at the lovely gifts and cards sent to them, thank you to everyone. The handmade activity book Emma just adored and spent a long time playing with it. Crafts were a great thing being stuck indoors most days in the cold weather especially when immunity is low. We managed to stay out of hospital over Christmas but James went in on 2nd January with a high fever. We were there just a few days getting blood transfusions and IV antibiotics. Back to Great Ormond Street tomorrow to find out when his transplant will be. Emma is still suffering postherapetic neuralgia from shingles, her skin has almost healed but the sensation of pain and itching is still there. 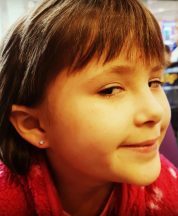 Her hair is growing back well now and she loves putting clips in her hair to show off her new earrings. 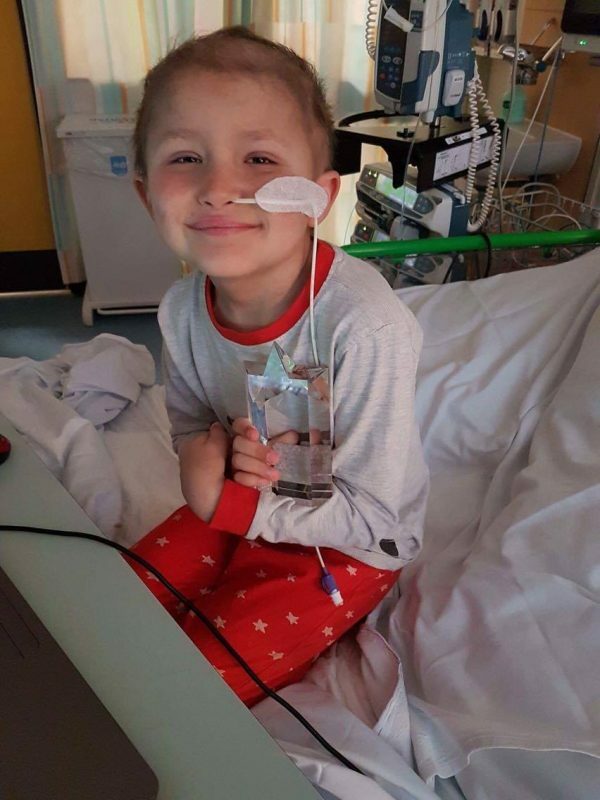 Sadly James’s donor was not able to donate for medical reasons which has meant his transplant has been delayed. We have just heard that two 10/10 matches have been found in the UK and we are waiting to hear if the donors are well and willing to donate. James has been off school most of October and November due to illness at school. His sister Emma has also had to deal with a bad case of shingles from stopping antiviral medication. She now has postherpetic neuralgia pain but is recovering. We are looking forward to Christmas together.